https://greenhomeinstitute.org/wp-content/uploads/2015/10/IMG_4088-e1445967584158.jpg 480 640 Brett Little https://greenhomeinstitute.org/wp-content/uploads/2018/08/GHI_Round-300x82.png Brett Little2015-10-27 14:02:412015-12-28 12:50:26Walsh Family Zero Energy Capable Farm House goes GreenStar Gold! 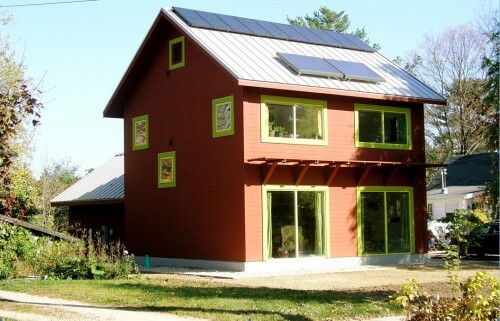 The Passive House in the Woods [Konkol residence] is a single-family home located in the Town of Hudson, Wisconsin. Located on a one-acre lot on the outer edge of a residential development the home overlooks the St. Croix River valley. The building lot provides stunning views and prime passive solar exposure. With its renewable energy systems, the structure makes more energy than it consumes. It features three bedrooms and three levels, including a walkout basement, as well as a rooftop terrace. The insulated concrete form substructure was built in the winter of 2009/10, and the home finished in September of 2010. 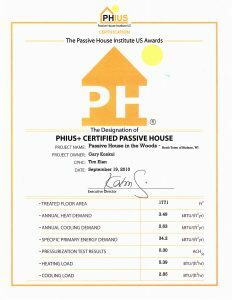 The project is Wisconsin’s first certified Passive House and at the time, one of only a handful of certified Passive House projects in the United States of America. The building envelope of the Konkol residence is very uniform. The below and above grade walls are made from the same insulated concrete form (ICF) assembly with exterior insulation and finish system. The basement slab rests on foam insulation—the roof deck is topped with foam insulation. The continuous concrete pour inside the ICF forms offers tremendous strength and helps with airtightness. R-values are very high and continuous. Both the garage as well as the exterior steel stair and deck structure are self-supporting and do not interrupt the building envelope. The North side of the home is largely covered by the garage, which is essentially built up to the home but does not share any assemblies with it—making the house’s envelope continuously the same. There aren’t any windows on the North side at all. The south side opens up for maximum solar heat gains, which are managed by motorized exterior shades. Covered entry and garage access are located on the main level from the East. The main stair is located along the North wall with storage cabinets lining it on each floor. The main level holds the kitchen, dining, and living area, as well as a powder room. Storage, mechanicals, and a guest suite/ family room are located on the walkout level, which provides access to the backyard. The upper floor contains two bedrooms and a joint bath/ laundry room. Both the main and upper floor offer access to the exterior decks on the West side, as well as the exterior stair structure on the North side, which connects all levels from the ground to the rooftop terrace. The rooftop terrace holds part of the photovoltaic system and the solar thermal panel. It offers spectacular views over the St. Croix River valley. The building was designed from the outset to become a Passive House. The first energy model was completed during schematics and subsequently kept current with design evolutions. The construction methods were selected specifically with airtightness in mind. Fenestration and glazing were fine-tuned using the energy model. In an effort to deliver a holistic and sustainable design, the building was also designed to meet the Minnesota GreenStar Gold level of certification focusing on energy efficiency, resource efficiency, water conservation, indoor environmental quality, and site and community impact. This project is our first ever Zero Energy Capable Designated home which means it was designed and tested to be a low energy usage home and be completely offset by renewable energy. 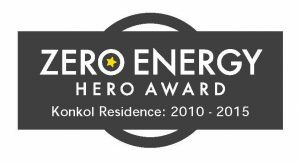 Not only that but the Konkol family has gone to great lengths to actually prove the home can obtain Zero Energy in their utility bills and have produced 300 more KWH than they used. 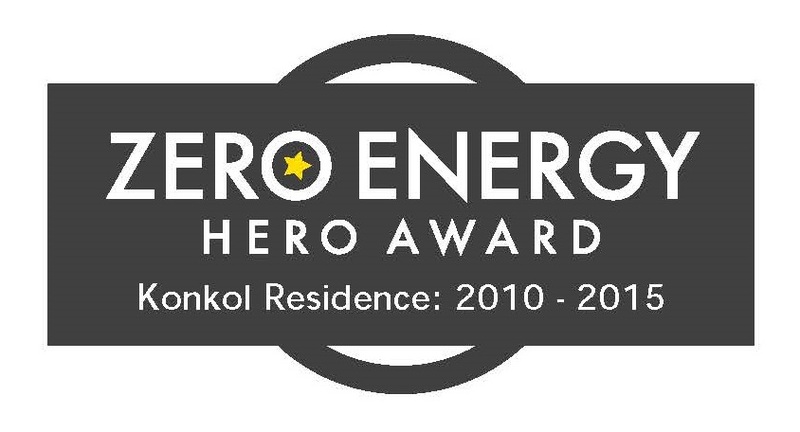 This is why we are awarding them with our Zero Energy Hero award for the year 2010 – 2015. They produced 300 kwh more than they had used. You can see their energy use and generation here. Tim Eian, the project architect explains this in more detail. “In year 1 we identified a couple of commissioning errors, which upon evaluation, were fixed. This lead to lesser consumption in subsequent years. In 2014 we understand that the solar thermal preheater panel failed (after repeated issues with the solar thermal hardware) and it took some time for it to be replaced, during which electric resistance hot water generation caused a higher than normal energy consumption. In addition, the tracker mechanism on the PV array failed repeatedly and is, as far as I know, defunct now, leaving the panels at a static position, rather than tracking. It is very frustrating to see the renewable systems causing many problems but re-assuring for the envelope-first approach we chose. • Very high-performance thermal envelope R-70 walls, an R-60 slab and an R-95 roof. Design: Dipl.-Ing. Tim Delhey Eian, TE Studio, Ltd. Interior Design: Christine Frisk, InUnison, Inc.
With Carly Coulson as the certified Passive House designer. This tiny (968-square-foot) kit house has a treated floor area of 888 square feet (82.5 m²). This project sports local windows and Cardinal triple-pane glass, while the doors are Energate. The NewenHouse is wrapped in a jacket of cellulose – and similarly comes in well under the specific space heating demand. The project is also rocking a solar domestic hot water system (Velux) that is expected to provide nearly two-thirds of the domestic hot water needs, and a PV system for site net zero energy. The project went through BRE in Watford, UK, for Passivhaus certification, is Energy Starcertified, and is expected to hit LEED for Homes Platinum after Landscape verification by the Green Rater Laura Paprocki. 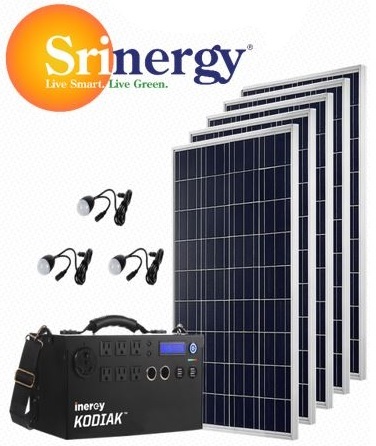 Total cost for NewenHouse – including solar DHW, PV, and accessory structures – is a whopping $173/sf. If there was a LEED Titanium, this über-tiny Passivhaus in an “extreme” environment would surely qualify. Newenhouse, who aptly describes herself as an eco-entrepreneur, is also founder and president of Community Car LLC in Madison, and just sold the Madison Environmental Group, a business she founded 13 years ago, to an employee. In the next year, she plans to launch a business selling three house designs — a 500-square-foot one-bedroom, an 800-square-foot two-bedroom, and a 1,000-square-foot three-bedroom. An option for a detached stuga, Swedish for “cabin,” includes storage space, a root cellar, sleeping loft, sitting area and wood stove. With her business, Newenhouse says she is trying to bring together three movements: the green building movement, the small house movement and the sustainable- or simple-living movement. You can contact Newenhouse at 608-220-8029 or Sonya@madisonenvironmental.com. A link to her blog is on the a at madisonenvironmental.com. Or if you’re planning to drop in, which she says she welcomes, she lives at 422 Hickory St. in Viroqua WI. 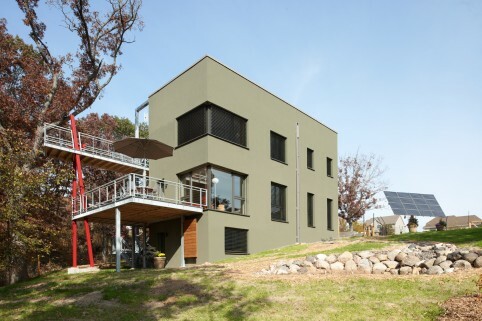 https://greenhomeinstitute.org/wp-content/uploads/2012/06/Newenhouse-Passive-House-LEED1.jpg 694 1082 Brett Little https://greenhomeinstitute.org/wp-content/uploads/2018/08/GHI_Round-300x82.png Brett Little2012-06-06 16:24:422015-12-28 14:53:03Wisconsin Passive House owner says drop on by anytime! 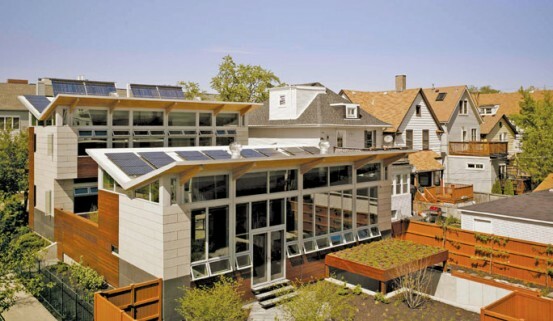 Starting with an eco-conscious dream for a truly green home transformed owner Michael Yannell’s Chicago residence into a $1.6 million, two-story 2,675-square-foot, four bedroom and two-bath Net-Zero-Energy masterpiece, producing 40 percent more energy than it consumes. Completed in 2009, it is not only Chicago’s first LEED Platinum-certified home, but it has scored higher than any other LEED-certified project in history. Architect Farr Associates, builder Goldberg General Contracting Inc. and engineering MEP firm dbHMS created this urban infill project to utilize aspects of alternative energies through passive solar, solar grid technology, a greywater system and closed looped geothermal heating and cooling components. 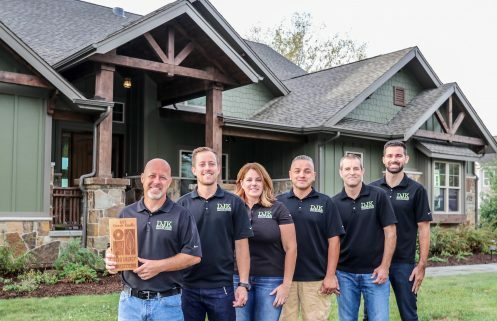 According to owner Michael Yannell, the main goal of this project was to create a more energy- and water-efficient, environmentally conscious place to live and to set an example by building a home as sustainable as possible. Incidentally, the green materials generally were no more expensive than conventional alternatives. 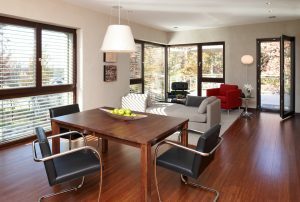 This Net-Zero-Energy residence was built using the U.S. Green Building Council’s (USGBC) LEED for Homes Pilot Program regulations. 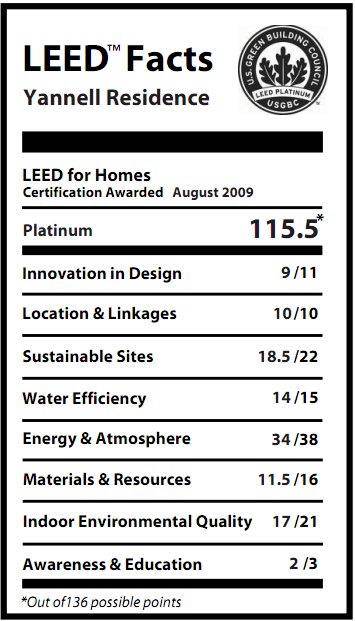 In order to earn the coveted LEED Platinum-certification, a project must meet the 100-point requirement, in which the Yannell residence scored 115.5. According to Net-Zero statistics, the Yannell residence generates 18,000 kWh/yr and uses only 12, 689 kWh/yr, earning the Yannell property an approximate $52,000 in tax credits in 2008-2009. According to Jonathon Boyer, principal and director of architecture for Farr Associates, the permit and design processes were a challenge from the beginning, but thanks to help from a hand-picked team, deadlines were met and the project was a success. 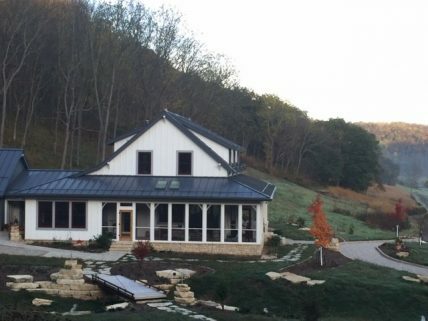 This being the first LEED-certified home came with obstacles along the way. 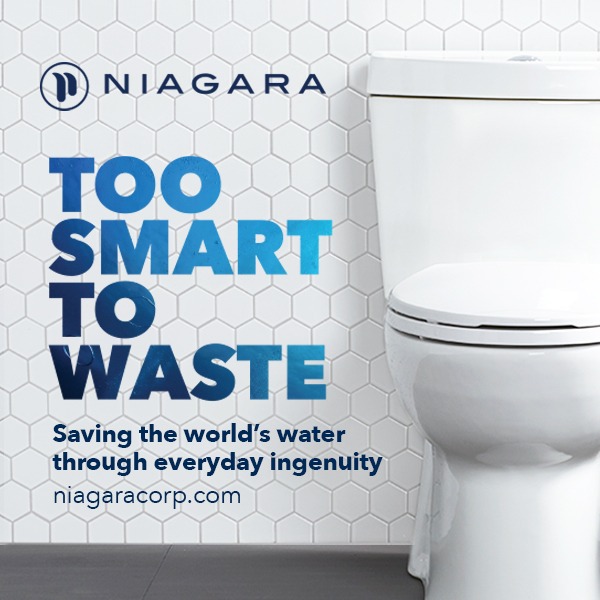 According to Boyer, by creating new systems such as the greywater system, which recycles water used from the washing machine for the toilets, it was tricky trying to solidify the permit process. 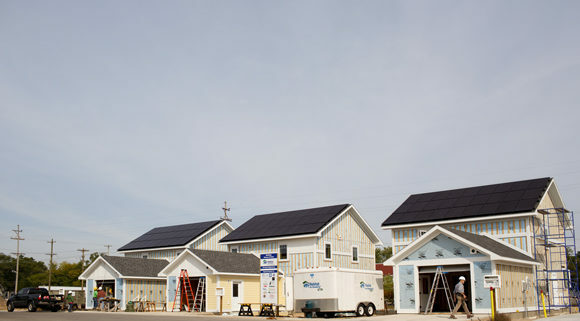 It has opened up new options for Chicago to consider when building more sustainable homes. “It was a learning process, the city of Chicago was open to it. We didn’t have any hard and clear standards in the city for permitting this kind of system,” Boyer explained. “As a result of this house, the city of Chicago Committee of Standards and Tests is adopting a new state / city code for rainwater / greywater reuse. “We were pioneers and induced the city to think about changing permits to use more sustainable elements into the residential market,” Boyer said. something aesthetically compelling and functional,” Boyer said. butterfly pattern roofs are designed to screen the solar panels from view, while providing an ideal angle for the panels to harness the sun’s energy,” Boyer said. Although the Yannell residence has received the highest LEED score, the materials it took to achieve the title are not unattainable for other eco-conscience projects. According to Boyer, “LEED for Homes is less than $3,000 for certification.” In this case, it assisted in the construction process by acting as a detailed guide when installing aspects such as air quality, water systems and when planning the positioning. Photography By Christopher Barrett. Evan Lancaster is an editorial assistant at Green Homebuilder magazine. He may be contacted at elancaster@penpubinc.com.